This entry was posted in Uncategorized on December 31, 2015 by Gary. As of this morning gold has suffered another premarket attack with about 10,000 contracts dumped on the market. Gold will bottom once the few big players controlling price cover all their shorts and get full positions long. It doesn’t look like they were ready to do that on Dec. 3 so we may have one more attack coming before they release the market to deliver the next bear market rally. This entry was posted in Uncategorized on December 30, 2015 by Gary. Gold is being capped at the 1071 level. This may or may not lead to one final attack to drive it to 1030 before the paper shorts get out of the way and let another bear market rally begin. This entry was posted in Uncategorized on December 29, 2015 by Gary. This entry was posted in Uncategorized on December 28, 2015 by Gary. FROM NOW UNTIL NEW YEARS: 25% OFF AN ANNUAL SUSBCRIPTION FOR NEW SUBSCRIBERS. 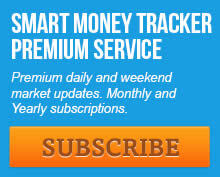 Purchase a yearly subscription and I will rebate $50 back. Subscription must be purchased before the start of 2016, and is only available to first time subscribers. This entry was posted in Uncategorized on December 27, 2015 by Gary. An explanation for why I think the Fed and big banks were and are behind the manipulation of the gold market. It has nothing to do with propping up the dollar and everything to do with preventing the commodity markets from spiking and creating another recession. This entry was posted in Uncategorized on December 24, 2015 by Gary. 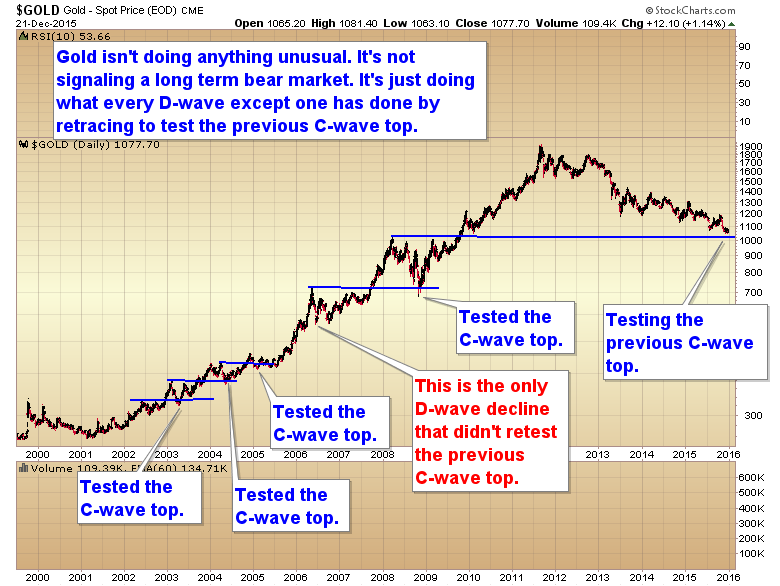 I explain how and why I think the gold bear market is artificial, and due to manipulation by a few big banks in the paper market. 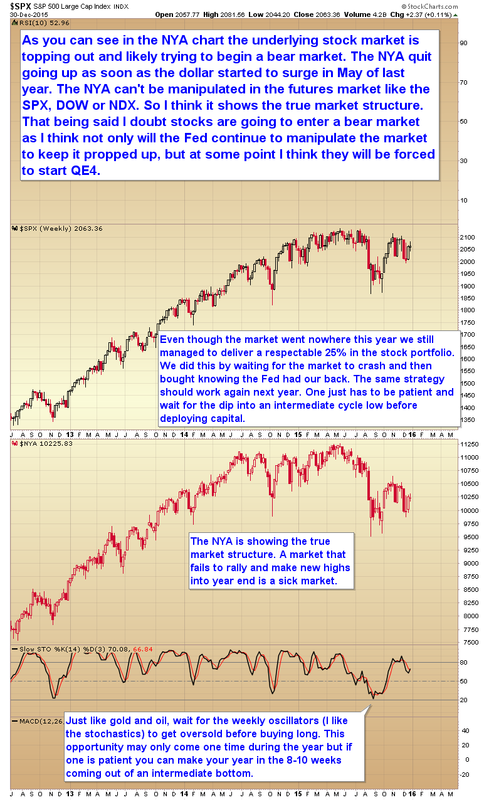 I discuss the market reaction that will confirm I’m correct. The analysts that for a couple of years have been trying to deny manipulation are ultimately going to look like idiots, and the Sinclairs of the world are going to have the last laugh, and will be proven correct in the end. This entry was posted in Uncategorized on December 22, 2015 by Gary. 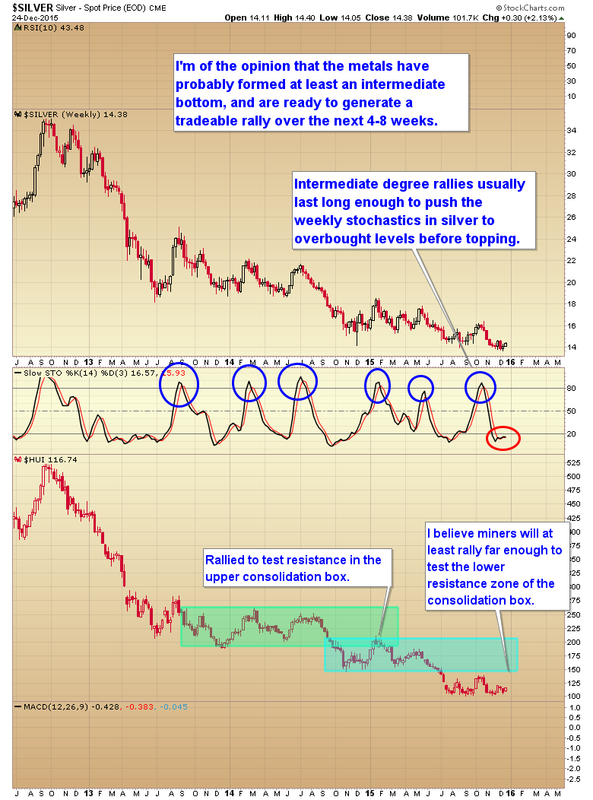 The dollar has likely started moving down into an intermediate degree cycle low over the next 5-6 weeks. This entry was posted in Uncategorized on December 20, 2015 by Gary. I’m going to reopen the Quest susbscription today with the same money back guarantee as the original offer back in 2014. If you wish to participate send me an email and I will respond with instructions. The trade will be placed today. So once we end trading today the offer will close for the guarantee, unless a better entry can be achieved next week. As long as one can enter the trade at the same price or better than what I get today then the money back offer will be honored. However if you wait and try to enter at a higher price than the quest entry I won’t be able to guarantee the trade. This entry was posted in Uncategorized on December 18, 2015 by Gary.